Antiseptics are frequently used for the prophylaxis and treatment of local infections of chronic wounds. Whereas local antiseptics in general have a positive effect on wound healing an uncritical use may impair wound healing due to toxic side effects. We sought to assess the vascular irritation potential of different antiseptic solutions and ointments commonly used for short and long term application as a measure of tissue toxicity. 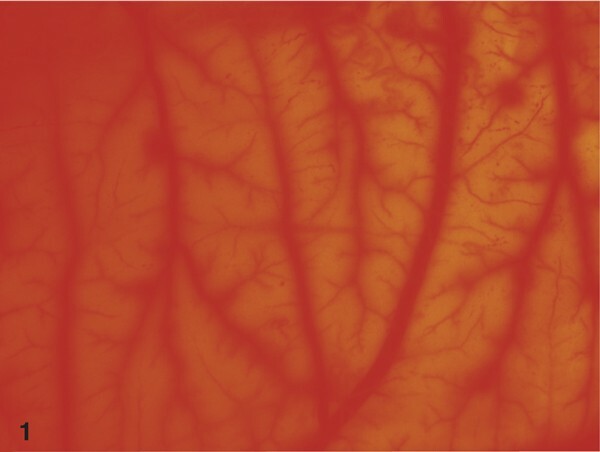 The vascular irritation was evaluated by the hen's egg test (HET) on the chorioallantoic membrane (CAM). The effects on the vessels of a mucous membrane were directly assessed by stereomicroscopic observation in vivo. Severe CAM irritation was observed after short-term applications of 1% octenidin-2HCl (Octeni sept™), 72% isopropanol (Cutasept™), 0.35% chloroxylenol (Dettol™) and 10% PVP-I ointment (Betaisodona™). Medium irritations were observed for 10% PVP-I solution (Betaisodona™), 3% lysosomal PVP-I ointment (Repithel™), 1.8% cadexomer-iodine ointment (Iodosorb™) and 1% cadexomer-iodine pellets (Iodosorb™). Finally, slight irritations were observed for 1% PVP-I solution (Betaisodona™), 0.1% polyhexanid plus betain (Prontosan™) and 1% silver-sulfadiazine ointment (Flammazine™), whereas 0.04% polyhexanid solution (Lavanid™), washings from sterile maggots of Lucilia sericata and filtrated enzymes from Clostridium histolyticum (Iruxol-N™) showed no effects of irritation. In the long-term approaches, no vascular irritations were found for polyhexanid, washings from Lucilia sericata and enzyme filtrations from Clostridium histolyticum. The vascular injuries caused by the studied antiseptics are an indirect indicator of their tissue toxicity. Strikingly, even therapeutic substances, which have been regarded as safe in their application for the treatment of chronic wounds in clinical studies, showed severe irritations on the CAM. We suggest that agents with no or low irritation potential on the CAM should be preferred in the clinical practice in order to obtain optimal results. Antiseptic solutions and ointments are used for the prophylaxis (i.e. preoperative disinfections as short term application) and treatment of local infections or critical colonization of chronic wounds (long term application) [1–3]. In fact, the presence of large numbers of bacteria is known to decrease or even stop the process of normal wound healing. Indications for the application of antiseptics include not only clinical signs of local infections of acute or chronic wounds, but also critical bacterial colonization's of > 105 colony forming units (cfu) per g of tissue, equaling 103 cfu per ml suspension in microbial swabs [4–6]. A recent multicenter study of 1000 wounds showed a general positive effect of local antiseptics on the wound healing process . In contrast, a general uncritical use of antiseptics may lead to formation of resistance and even to a decrease of wound healing due to toxic side effects [3, 6, 7]. In the clinical practice local therapeutics are differentiated according to their mode of application (short term and long term) [8–13]. Solutions are used for rinsing and cleaning of acute and chronic wounds in the short term application mode or in the long term application mode as a wet-to-dry non adherent wound dressing combined i.e. with gauze. Accordingly, ointments are used widely besides the broad spectrum of other modern wound therapeutics and dressings (i.e. nonadherent gauze dressings) in the long term therapy of acute or chronic wounds. Main medical requirements for antiseptic preparations include a broad-spectrum of antimicrobial activity, a minor systemic toxicity and excellent local tissue compatibility [1, 14, 15]. The toxicity of local antiseptic agents including their injury of the granulation tissue is well investigated [5, 15–18]. Strikingly, a destructive effect on the vessels of the dense capillary plexus of the newly formed granulation tissue is regarded as one of the most severe potential damages caused by these preparations. Therefore, the indication for local antiseptics should be carefully assessed [4, 19]. Here, we used the in vivo hens' egg chorioallantoic membrane (CAM) test of chicken embryos as a model for the capillary plexus of the granulation tissue to analyse the tissue compatibility of the most commonly used antiseptics [3, 15, 20, 21]. Vascular injuries to the CAM were regarded as measure for vascular irritation and hence tissue damage. The following test preparations were used for the HETCAM test: Ringer solution (B. Braun Melsungen AG, Melsungen, Germany), physiological sodium chloride solution (0.9% NaCl, B. Braun Melsungen AG, Melsungen, Germany) and phosphate-buffered saline (PBS, Fluka, Buchs, Switzerland) served as negative controls, 1% sodium dodecyl sulfate (Fluka, Buchs, Switzerland) in PBS served as positive control. Furthermore, the following commercially available antiseptics were used: Cutasept™ (BODE Chemie Hamburg, Hamburg, Germany) containing 72% isopropanol, Octenisept™ (Schülke & Mayr, Norder stedt, Germany) containing 0.1% octenidin-2HCl plus 2% phenoxyethanol, Betaisodona™ solution (Mundi pharma GmbH, Limburg/Lahn, Germany) containing 10% povidone - iodine (PVP-I), Prontosan™ (Medical Instruments Corporation, Solothurn, Switzerland) containing 0.1% polyhexanid plus 0.1% undecyleneamidopropyl-betain, Lavanid™ (SERAG Wiessner KG, Naila, Germany) containing 0.04% polyhexanid, Flammazine™ ointment (Solvay Arzneimittel GmbH, Hannover, Germany) containing 1% silver-sulfadiazine (SSD), Betaisodona™ ointment (Mundipharma GmbH, Limburg/Lahn, Germany) containing 10% PVP-I, Repithel™ ointment (Mundipharma GmbH, Limburg/Lahn, Germany) containing 3% lysosomal PVP-I, Iodosorb™ ointment (Smith & Nephew, Hull, UK) containing 1.8% cadexomer iodine and Iodo sorb™ pellets containing 1% cadexomer iodine. In addition we used freshly washed maggot secretions of Lucilia sericata (Neocura, Tübingen, Germany). Approximately two hundred 3 - 4 days old second instar maggots were washed with 20 ml NaCl solution (0.9%) for 2 h. Dettol™ (R&C Pharmaceuticals Ltd, Mobeni, RSA) an antiseptic solution widely used in Africa, containing 4.8% chloroxylenol and 11.28% denaturated alcohol also was investigated. Prior to the application Dettol™ was diluted 1:14 with PBS like recommended by the manufacturer's instructions. This resulted in final concentrations of 0.35% chloroxylenol and 0.8% denaturated alcohol. Finally, we used Iruxol-N™ (Smith&Nephew, Hull, UK), containing enzyme filtrations from Clostridium histolyticum (e.g. clostridiumpeptidase), as a non-antiseptic ointment for comparison to the tested antiseptic ointments. Iruxol-N™ is used for the enzymatic debridement of wounds. Fertile hens' eggs were taken form a local hatchery at day 8 of incubation at 37.5°C. Eggs were removed from the incubator and swabbed with 70% ethanol. To ensure that the embryo was properly positioned, the eggs were left in a horizontal position for several minutes. 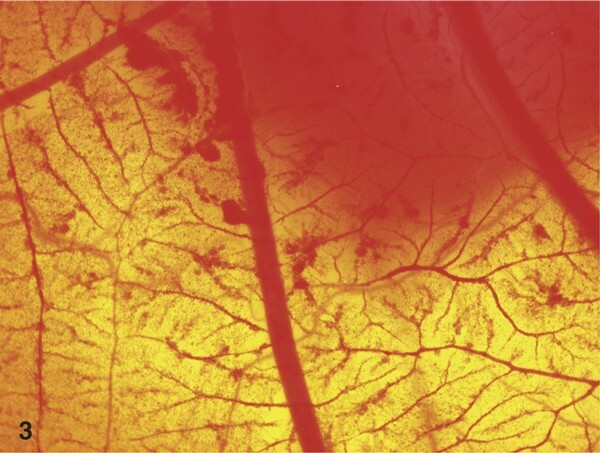 After breaking up the shell, first all of the chorioallantoic membrane was evaluated using a stereo zoom microscope SZ11 (Olympus Optical, Hamburg, Germany) equipped with a digital camera (colour view III) and analysis software (Soft imaging system, Stuttgart, Germany). Only intact CAMs were used for the experiments. The evaluation of vascular irritation was determined after the official INVITTOX protocol No. 47 provided by the European Centre for the Validation of Alternative Methods (ECVAM)'s Scientific Information Service (SIS). The effects of vascular irritation are measured semi-quantitatively and are differentiated in 4 IS ranges according to Spielmann. 3 = severe reaction (9 - 21). The irritation threshold (It) expresses the toxicity level of a substance and is assessed by a dilution experiment on 3 eggs. after progressive dilution, the IT is defined as the highest concentration causing slight CAM irritation. For each substance 3 eggs were observed continuously over 5 minutes to evaluate the Is, which was expressed as the mean value of the 3 experiments. In order to evaluate the irritation-threshold, an additional 3 eggs were observed under application of different dilutions of the various substances tested. For non-transparent antiseptic solutions and ointments the test was modified. Briefly, these substances were applied in thin layers (< 300 μL) which allowed vessel observation. After application of different substances the observed reactions on the CAM were expressed as irritation scores (IS) and irritation thresholds (IT) according to Spielmann. Additionally, we included irritation scores of former studies [8, 16]. Ringer solution, 0.9% sodium chloride solution (NaCl) and phosphate-buffered saline solution (PBS) did not show any effect on the vessels of the CAM (IS = 0.0, STD = 0.0) even in the long term mode of application after 60 minutes, as expected. Contrarily, the positive control using 1% sodium dodecyl sulfate (SDS) caused severe irritations on the CAM (IS = 16.9, STD = 1.5), (data not shown). In the group of solutions the local antiseptics Cutasept™ (72% isopropanol, IS = 18.2, STD = 0.8), Octenisept™ (0.1% octenidin - 2HCl plus 2% phenoxyethanol, IS = 14.8, STD = 5.1) and Dettol™ (0.35% chloroxylenol and 0.8% denaturated alcohol, IS = 17.4, STD = 0.0) caused severe irritations (Figure 1-2). Stereoscopic view on the CAM after 5 minutes application of 72% isopropanol (Cutasept™). Please note diffuse haemorrhage reactions of CAM vessels. 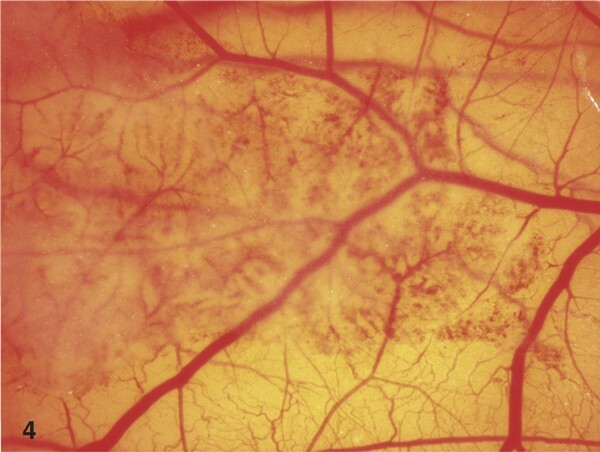 View on the CAM after short term application of 0.1% octenidin-2HCl F (Octenisept™, 5 minutes), which resulted in severe lysis of vessels. Betaisodona™ solution (10% PVP-I, IS = 5.3, STD 1.6) showed moderate effects in the short-term application, whereas a 1:10 dilution with PBS (1% PVP-I, IS = 1.3, STD = 0.8) only resulted in slight vascular damage. In the long-term approach, Betaisodona™ solution caused severe reactions of the CAM (Figure 3). Prontosan™ wound rinsing solution (0.1% polyhexanid plus 0.1% undecyleneamidopropyl betain, IS = 1.6, STD = 2.7) displayed only slight effects in the short-term application. 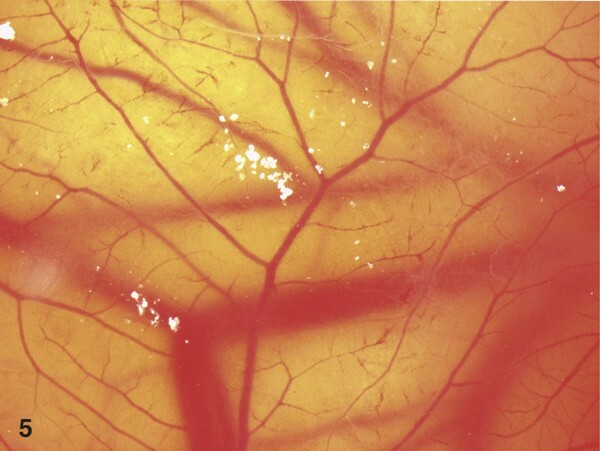 Similarly to Betaisodona, long-term use of this substance led to severe vascular irritation, mainly through vessel lysis (Figure 5). Stereoscopic view on the CAM after long term application of 10% PVP-I solution (Betaisodona™, 60 minutes). The severe haemorrhages are clearly visible. Lavanid™ (0.04% polyhexanid, IS = 0.0, STD = 0.0) and the secretions from sterile maggots of Lucilia sericata (IS = 0.0, STD = 0.0) did not cause irritative effects even after long-term application. The irritation-threshold (dilution with PBS, at which only slight effects occurred on the CAM of 3 different eggs) was determined for those solutions with high irritative potential: Cutasept™, Dettol™, Octenisept™ and Betaisodona™. To achieve a slight IS, Dettol™ had to be diluted to 1 : 500, Cutasept™ to 1: 200, Octenisept™ to 1 : 100 and Betaisodona™ to 1 : 10 (with a final PVP-Iodine concentration of 1%). In the group of ointments, Betaisodona™ (10% PVP-I, IS = 15.8, STD = 2.1) showed severe vascular irritations. Repithel™ (3% lysosomal PVP-I, IS = 4.8, STD = 2.1), Iodosorb™ ointment (1.8% cadexomeriodine, IS = 4.8, STD = 2.1) and Iodosorb™ pellets (1% cadexomer-odine, IS = 5.7, STD = 3.5) displayed moderate irritations on the CAM in the short term and in the long-term application (Figure 4). 3% lysosomal PVP-I ointment (Repithel™, 60 minutes). Please note the moderate irritation of the vessels on the CAM by Repithel™ ointment only in the area of application. View on the lysed vessels after 60 minutes application of 0.1% polyhexanid plus 0.1% undecyleneamidopropyl - betain (Prontosan™). Finally, Flammazine™ (1% silver-sulfadiazine, IS = 1.3, STD = 2.2) showed only slight irritation, whereas Iruxol-N™ (enzyme from Clostridium histolyticum, IS = 0.0, STD = 0.0) displayed no visible effect on the CAM. Irritation scores and irritation thresholds of antiseptics and results for long-term applications are summarized in Table 1 and 2. Notably, only specimens showing no, slight or moderate irritation after 5 minutes exposure were tested for 60 minutes. Strikingly, solely 0.04% polyhexanid (Lavanid) and maggot secretions showed no irritation in the studied model. Iodine preparations with low iodine content (Repithel™ and Iodosorb™) resulted in moderate vascular irritations on the CAM. Furthermore, Iruxol-N™ showed no vascular irritations and effects were comparable to the negative control in the group of ointments. IS Lit. = irritation scores of former studies. Various reports have shown that commonly used antiseptics for wound treatment may cause vascular irritation at clinical concentrations [2, 15, 22]. Accordingly, our study demonstrated severe tissue toxicity for 72% isopropanol (IS = 18.2), 0.35% chloroxylenol plus 0.8% denaturated alcohol (1:14, IS = 17.4) and 0.1% octenidin-2HCl (IS = 14.8). Preparations containing PVP-I resulted have also presented milder but significant vascular damage. This is in line with investigations which have demonstrated that the prolonged exposure of human skin to aqueous iodine-solutions may cause irritations or rarely even severe skin reactions [5, 17, 20, 23–25]. Moreover, highly diluted PVP-I-solutions were shown to bear severe cytotoxicity in cell cultures of human skin fibroblasts in vitro [5, 17, 20, 24]. Notably, whereas Polyhexanid in a concentration of 0.04% caused no vascular damage, a 0.1% solution led to slight CAM irritation. Stimulated by the recent progress in wound therapy, we included washings from Lucilia sericata, an organism used in biological wound debridement and enzyme filtrations from Clostridium histolyticum (Iruxol-N™) in our investigation. Both substances caused no CAM irritation in the studied model, suggesting good tolerability. In order to avoid local toxic reactions, antiseptics are frequently diluted with physiological rinsing solutions, like physiological saline or Ringer solutions, e.g. 10% iodine is diluted 1:10 before wound treatment or abdominal rinsing . Accordingly, the determination of potentially safe concentrations is of relevance to the clinical practice. Hence, we used rinsing solutions as well as dilutions of antiseptics to determine their irritation-thresholds (IT). Since IT evaluation is only possible for substances with moderate or severe reactions, we determined the IT for 72% isopropanol (IT = 1:200), 0.1% octenidin-2HCl (IT = 1:100), 4.8% chlor oxylenol plus 11.28% denatured alcohol (IT = 1:500) and 10% PVP-I (IT = 1:10). Herein, 10% PVPI, with an IT of 1:10, was the substance which showed the lowest toxic potential, whereas 4.8% chloroxylenol plus 11.28% denatured alcohol achieved the highest IT (1:500). In a clinical setting, local antiseptics will first get in contact with fibrin, blood and debris. Beyond this surface, one can assume that either fresh granulation tissue or fibrotic tissue due to chronic impaired wound healing will be found . Cytotoxic effects on this layer could be tolerated, if there was no damage on deeper structures like the vascular plexus . 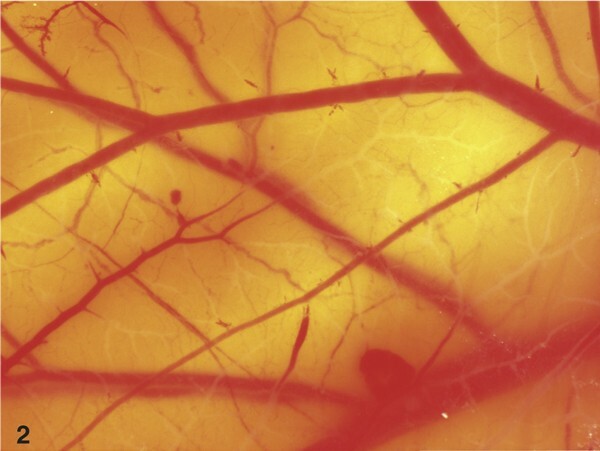 Damage on the vascular plexus (haemorrhage, vascular lysis or coagulation) could result in severe impairment of tissue regeneration and poor or even no wound healing . Furthermore, the cytotoxicity is concentration-dependent and correlates inversely with the complexity of the testing system. The development of antiseptics with low cytotoxic potential may improve wound healing through the preservation of the fragile neo-angiogenic vascular tissue. We here provide further evidence for the toxicity of antiseptics commonly used in clinical practice. Our results indicate the good tolerability of low concentrated polyhexanid-solutions and biological wound treatments, as shown by HETCAM analyses. The HETCAM test is a cheap and easy method to asses the vascular irritation potential of substances on a vascular system. Its relevance can be classified between in vivo and ex vivo test-systems. Comparing the different measured effects of the antiseptics used in this study with results from former clinical trials, a good accordance was found. We conclude that a medium irritation effect in the HETCAM can be regarded as safe for the application of antiseptic substances on chronic wounds, whereas substances with a severe irritation effect should be avoided in the clinical setting. For the therapy of chronic wounds we therefore recommend the use of 0.04% polyhexanid and maggot debridement. Beside this, 1% silver-sulfadiazine and enzymatic filtrations from Clostridium histolyticum are regarded as safe. All tested iodine preparations with iodine concentrations up to 3% showed only moderate adverse effects and may therefore also be regarded safe for the treatment of chronic wounds. C Marquardt, C Matuschek, D Höfer, K Orth and W Fleischmann contributed equally to this work.